N.B. This review contains spoilers, so please capture a copy of Dodie Smith’s book before you begin. In return I promise to try and stop making weak jokes with the word ‘capture’ in them. I’d love to say that I wrote this review sitting in the kitchen sink. It might begin to express the complicated feelings I have for Dodie Smith’s beloved I Capture The Castle. It might even be a suitable homage to this lovely, quirky book. Sadly, as I’ve discovered, kitchen sinks are not comfortable places to sit, especially when you’re trying to balance a laptop on one knee and a cup of tea on the other. 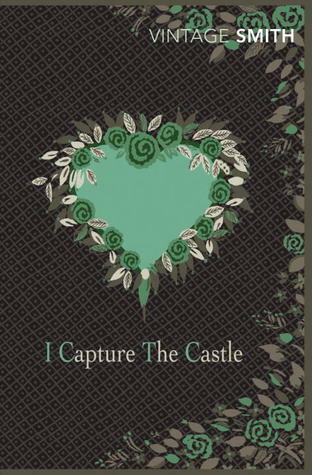 Which is a shame, because the opening line of I Capture The Castle – “I write this sitting in the kitchen sink” – is a real winner. It tells you more or less everything you need to know about this book. It’s going to be a kind of ‘domestic’ novel, yes – but it’s not the kind of domesticity you may be familiar with. It’s kitchen sinks, but with girls in them, not dishes. Cassandra Mortmain, our beloved sink-sitter, lives in a crumbling castle with her famous writer father (who has failed to produce a single book after the critical acclaim of his first novel), her artist’s model stepmother, her sister, brother, and a handsome farm-hand called Stephen. The book is written as a kind of diary, and describes the poverty the family lives in thanks to the father’s refusal to write and the apparent inability of anybody else (apart from Stephen) to earn a wage. In a brilliant scene, Cassandra’s sister Rose – tired of the family’s poverty – climbs a clothes rack and wishes upon a carving of a demon’s head high up on the kitchen wall. And then, out of nowhere, two rich Americans appear, and Rose decides she’s going to seduce one of them so quickly that she might as well have little cartoon dollar signs stamped across her eyeballs. The plot doesn’t sound terribly exciting, that’s for sure. And, thinking about it, it’s clear that what makes this such a wonderful book is not the story, but the way it’s written. From that very first, infamous line, Cassandra’s character is so vivid that she could actually be present. Described by one of their neighbours as “the insidious type – Jane Eyre with a touch of Becky Sharp. A thoroughly dangerous girl” (Chapter VIII), Cassandra is, like these famous literary heroines, utterly memorable. Smith is masterful when it comes to creating Cassandra’s voice. Which is good, because the book isn’t really about Cassandra’s family, or the crumbling castle they live in. No. The book actually captures that tenuous point in a girl’s life, that transitionary phase somewhere between ‘girl’ and ‘woman’. It’s the phase you don’t really know is happening until it’s over, a moment you can’t exactly pinpoint but feel, instinctively, has happened, always and only after the fact. Perhaps it’s because it deals with this strange, mysterious period of life that paganism, witchcraft and nature (particularly the colour green) play such an important role in the book. Rose wishes upon the carving of the demon, and the next moment Simon, complete with goatee and a silhouette that appears remarkably devilish, appears. When they first meet the Americans, with Mrs Mortmain upstairs playing ‘Greensleeves’ on her lute, Rose and Cassandra have been dyeing their clothes, so their arms are green up to the elbows (they literally have ‘green sleeves’. Pause for laughter). Which perhaps suggests that they’re both ‘green’. Rose manages to wash the dye off by dint of furious scrubbing, but Cassandra is content to let it fade away, just as she is content to hold on to her childhood much longer than her sister. This is especially true of the ‘Rites’, a quasi-pagan, made-up ritual that the sisters perform every Midsummer on the ancient mound outside the castle. Rose has long given up the ‘Rites’, but Cassandra performs them one last time at the end of the book. Tellingly, they are invaded by Simon, whose presence means an end to both the Rites and Cassandra’s childhood. She says “I had been too occupied in entertaining Simon to think about them before. And suddenly I knew that I had been right in fearing this might be my last year for the rites – that if I ever held them again I should be ‘playing with the children'” (Chapter XII). 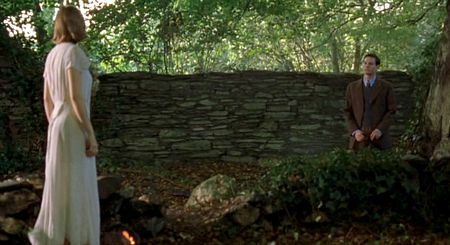 “My presence here is entirely symbolic”: Simon invades the Rites in the 2003 film version of the book. Cassandra, despite declaring “I know all about the facts of life. And I don’t think much of them” (Chapter V), which has got to be my favourite line in the entire book, finds she can’t escape adulthood so easily. She eventually falls in love with one of those pesky Americans who are always hanging about the narrative (in case you can’t tell, I’m more or less rooting for Stephen every time). Simon just happens to be engaged to her sister Rose by this point, so awkward family reunions seem to loom in the distant future. The second half of the book is less enjoyable than the first, particularly the ending, which finishes with Cassandra speculating as to whether Simon will return from America and scribbling “I love you” in the margins of her notebook, for all the world like a lovestruck teenager (which makes you wonder if all the hard work she did growing up throughout the book was worth it). Although it seems like a fairly soppy ending, which I cannot like, I’m tempted to try and save it by suggesting that perhaps the ‘I love you’s have a touch of ambiguity about them; they’re directed at Simon, yes, but perhaps they’re also a kind of expression of the passion for life that Cassandra displays throughout the novel. Perhaps they’re directed more generally at her family, her home, and the country of England (Dodie Smith wrote the book while in America during the war, and missed her home dreadfully. I’d like to think of I Capture The Castle as her love song to the land she left behind). Perhaps it’s even supposed to be ironic, suggesting that Cassandra is not quite so grown-up and world-weary as she’d like to think. Her love for Simon may still be calf-love, and she might have a lot more growing up to do than she thinks. That awkward moment when you realise that maybe it will never not be weird sleeping with your sister’s ex-fiancee. This is why my feelings for this book are so complicated. Although I love the story, and the characters, I do wonder exactly what the book is trying to say about growing up, romance, family, and ‘home’. Funnily enough, when I first read the book as a teenager, I had similar reservations. Admittedly, this was because I was completely in love with Stephen, both the book-version and the film, and thought Cassandra made things needlessly difficult for herself by falling in love with Simon, but still. I guess ultimately the book is saying that the adult world doesn’t always make sense. We don’t always make good decisions. But that’s what growing up is about. Still, it’s hard not to love this story. Dodie Smith’s writing is so wonderful, and the world she creates so real, that you honestly believe you’re there, in that crumbling old castle, watching the Mortmains go about their lives. 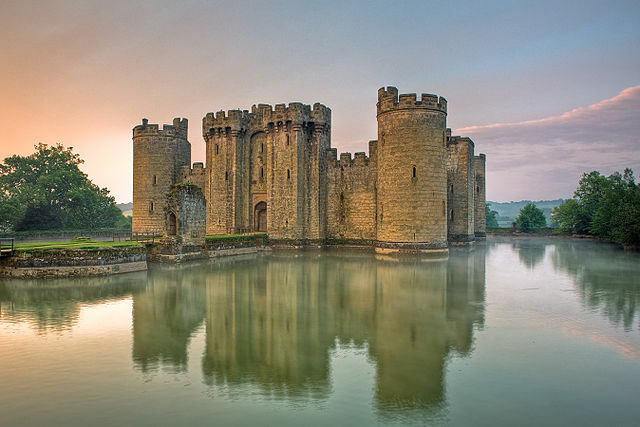 Then there is the wonderful assertiveness of the title: ICapture The Castle. It’s bold and gutsy, its tone in keeping with the tone of the book. It retains the book’s first-person narration, and the words capture and castle give it a strong, confident tone – as well as providing some nice alliteration with those hard ‘k’ sounds. It’s the boldness of the narration, and the gutsyness of the characterisation, that makes this book one of those that can so easily capture reader’s hearts. It certainly captured mine. I love this book thank you for reminding me just why. Oh yes, this book is one of my absolute favourites! There are books that create a special aura around themselves and this is one of them. Thanks for the great review! This made me want to re-read this, again… Great review! I think you truly capture (sorry!) the essence of this marvelous book — and raise excellent questions. I’ll go into my next re-read with them in mind. Another wonderful review. I read this book a few years ago and fell in love with it. Even now I find I connect with Cassandra’s naive view on life. It’s interesting what you say about trying to work out Smith’s point to the book – what she is trying to say. I always felt this was such a wish fulfillment of a novel, an idyll, that there wasn’t really meant to be a clear message outside of that. I don’t think Cassandra is in love really. If my own wishes were fulfilled I would like a story where Cassandra meets Stephen years and years later back at the castle and see what happens/how they’ve changed. I agree with that – the novel really does seem to be a kind of wish fulfilment. I would love to read the story where Cassandra and Stephen meet up years later. Mind you, it probably wouldn’t be a particularly cheerful story, postwar Britain being what it was. Still, it would be interesting to see an adult Cassandra. It has been a long time since I read this book. Your review made me want to go back and re-read it! I really love this book, even though I don’t disagree with you about the second half. It’s clear that Dodie Smith is coming at romance and friendship from such a different angle than mine, but even within that, I love how distinctly described it all is. Cassandra’s such a terrific narrator. Definitely! I think Cassandra’s characterisation is the thing I love most about this book. Her voice is so distinct and engaging. I haven’t read this in years, and I remember loving the book but finding the ending disconcertingly sad. I must have been rooting for the other guy too. There is something a little melancholy about the ending! I think it’s supposed to be a hopeful ending, but I definitely felt quite sad at the end too.